Softengi’s team is always working on the development & improvement of our solution for transforming living environment Aziot Home. Lately, our Connected Digital Home has been complemented with a few significant items: air conditioning, intercom & weather stations. Get air in your apartment under total control. The Aziot Hub (hardware part of the solution) is connected with the air conditioner installed at your apartment. 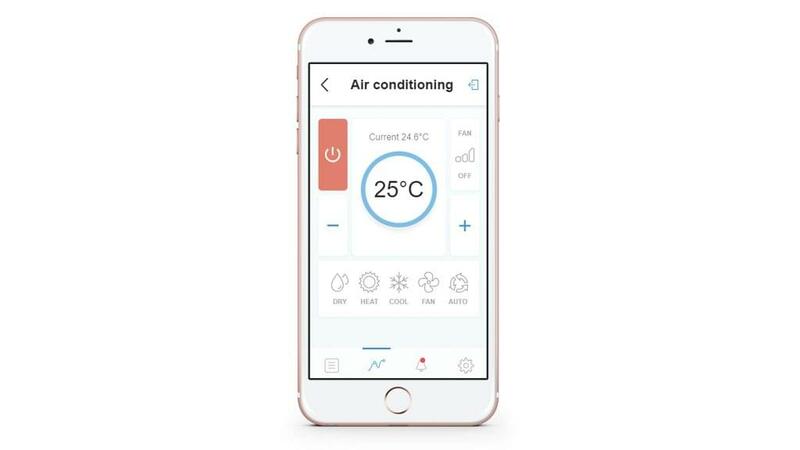 From now on, you are able to manage air temperature at your place just via your mobile App: few clicks to raise or lower the temperature, to switch the device on or off (even being miles away from your apartment). Admit people into the home with no fuss. Aziot Home system is also connected with your home intercom system. But now it has become even easier to manage it. 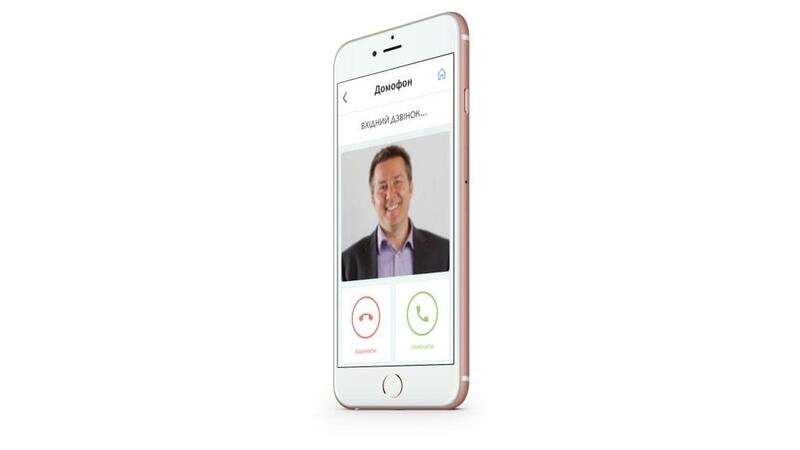 You receive notifications on your mobile phone every time someone appears at your apartment/door, you can easily identify the person by scanning his/her face, and it’s always up to you which button you’ll press: green to admit or red to cancel. Always stay informed about the weather conditions outside. Now we don’t need data about the weather coming from national meteorological stations – we have our own! Aziot’s team has done the impossible: we have installed a weather station at the top of each building equipped with Aziot Home solution. 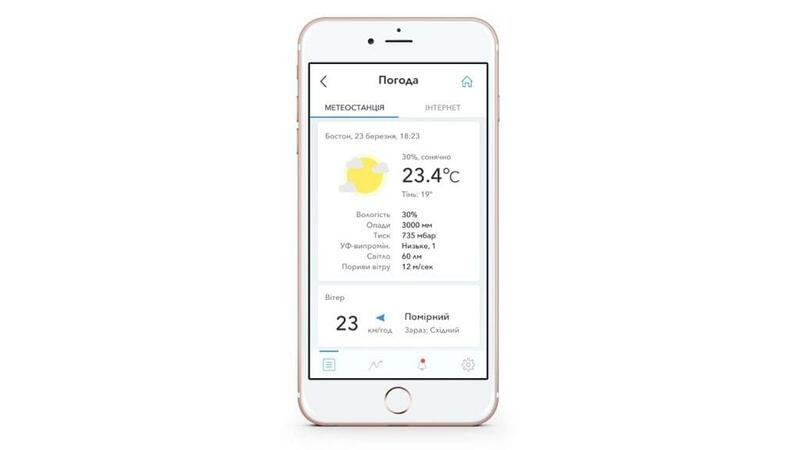 The everlasting dilemma whether taking an umbrella with or not, has been solved forever – just open your Aziot App to check the weather and the data has never been more accurate before! Read more about our another IoT solution – Smart Door, an application for automated door unlocking. Get to know more about our other cases on System Integration and IoT Devices. Earlier, Igor Sharinsky, Software Testing Practice Manager, has shared some Tips on Testing of IoT Applications: Vague results. Complex Automation Process. Ethics matters.